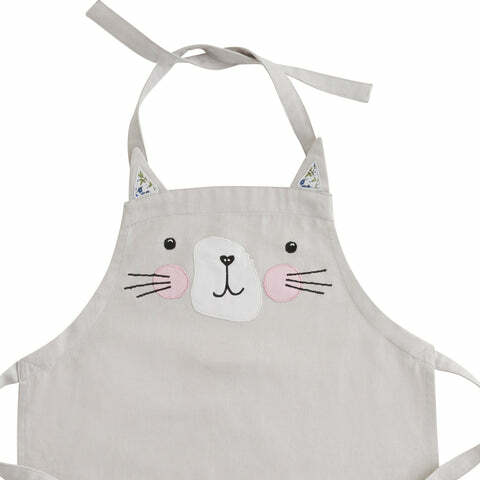 Personalised Child's Apron, Miss Cat | Great Little Trading Co. 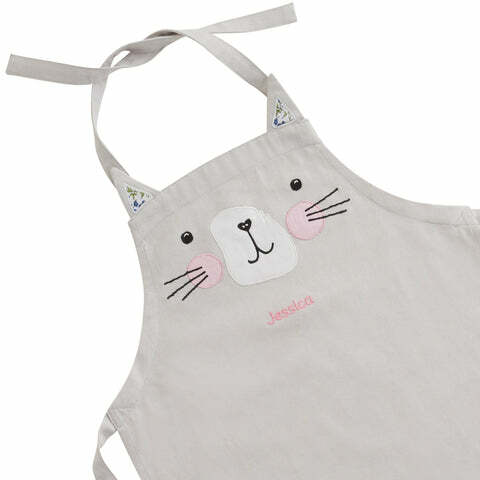 This pretty kitty apron is a lovely gift for kids: putting a name on things makes them feel special and it's a good way to help them learn the letters in their name. We love that you can pop it in the washing machine - so practical. 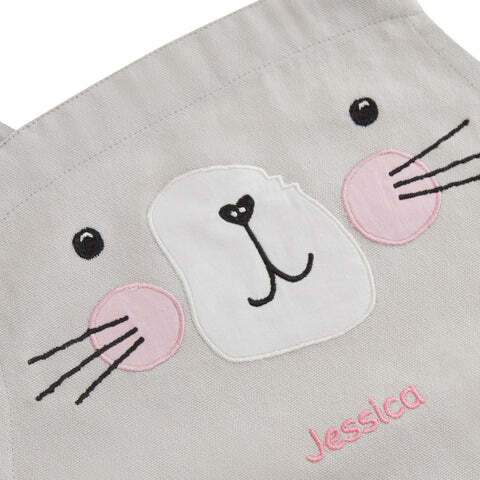 It's made from top quality cotton, and features an embroidered name, waist ties and a neck loop. Also available Unpersonalised. Type your chosen name (up to 12 characters) in the box above. We're sorry, but we can't accept orders with accented letters or cancellations more than 24 hours after the original order.